Costs – How many trees do you need to care for in your Des Moines yard? See what you may pay for them ahead of time. FAQs – There are various trees that thrive in Des Moines, but be aware of current tree diseases and local regulations, too. Services – Contact a Des Moines tree pro to get more info! How Much Do Tree Services Cost in Des Moines? Des Moines tree service professionals are best called upon to help with tree maintenance. Tree removal and maintenance is more involved than gardening or general yardwork. It is not recommended to do tree removal yourself as it may cause damage to personal property. Trained professionals can handle trimming, tree removal and stump removal, among other tree service jobs. This guide gives the costs of different tree services in Des Moines. Tree removal in Des Moines typically involves a lot of labor. On average, it costs between $5,200 and $8,600. There are two main reasons for tree removal: taking trees out that pose an imminent or long-term danger to property and power lines, and taking out trees as a purely aesthetic decision. Removing trees for aesthetic reasons is typically cheaper. The cost of tree removal on private property in Des Moines averages $6,900. To remove stumps in Des Moines, tree service professionals typically use a procedure called stump grinding. This grinds the stump down to a flat surface below the ground with sawdust and mulch on top of it. This is cheaper and faster than stump removal, and it stands less chance of tearing up existing landscaping. Stump grinding in Des Moines costs between $77 and $138 on average. Meanwhile, removing a stump by pulling it out of the ground could cost up to $250, though it is generally closer to $200, depending on its size. Des Moines tree maintenance includes projects for trimming, branch cutting and pruning. Prices vary by tree size, type, height and number of branches. Most prices for tree maintenance in Des Moines vary between $460 and $700 with an average cost of around $580. Des Moines, Iowa is naturally prairie land, part of the rolling hills of the great American Midwest. However, over the years, Iowa has not had as many of its green spaces maintained as some other states. Nevertheless, there has been a push in recent years to improve the aesthetic quality of Des Moines as part of its “City Beautiful” project by planting more trees and encouraging citizens to plant trees as well. This has caught on, and the need for tree trimming, pruning and removal services in the capital of Iowa is very high. Since it doesn’t have a history of land management regulations, it is relatively easy to remove or trim trees in the state of Iowa. 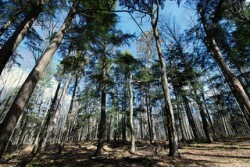 There are no state regulations with regard to managing trees on one’s personal property. However, Des Moines municipal law states that property owners must take responsibility for the care and maintenance of trees on private property. Dead trees must be removed, and hazardous trees must be trimmed and made safe for pedestrians and cars. It is generally okay to plant below power lines as long as the trees won’t grow over 20 feet tall. Des Moines often has harsh, early winters, so it is best to do tree removal in the late summer to early fall, in late August and through September. Early October is borderline, and November is generally too late to remove trees. When the ground frosts, it is very hard to remove trees from the soil. When it comes to pruning trees, springtime is best in Des Moines around mid-March when it’s just starting to get warmer but the trees have not yet grown buds. 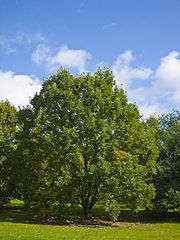 The official state tree of Iowa is the oak. It is unclear which type of species is indicated, but considering that the bur oak, also known as the white oak, is found throughout the state, this is considered by many to be the species. With its trademark wide, wavy-edged leaves, the bur oak is typically just called an “oak” without distinguishing it from other types of oak. Some fruit trees that are popular among Des Moines residents during the hot growing season include plum, apple, persimmon and pear trees. Douglas firs are the tallest tree in Des Moines, and Miyabe maples are the shortest. The four main threats to Des Moines trees are the emerald ash borer, the gypsy moth, the bur oak blight and the thousand cankers disease. Any tree that requires long warm seasons will not do well in Des Moines. 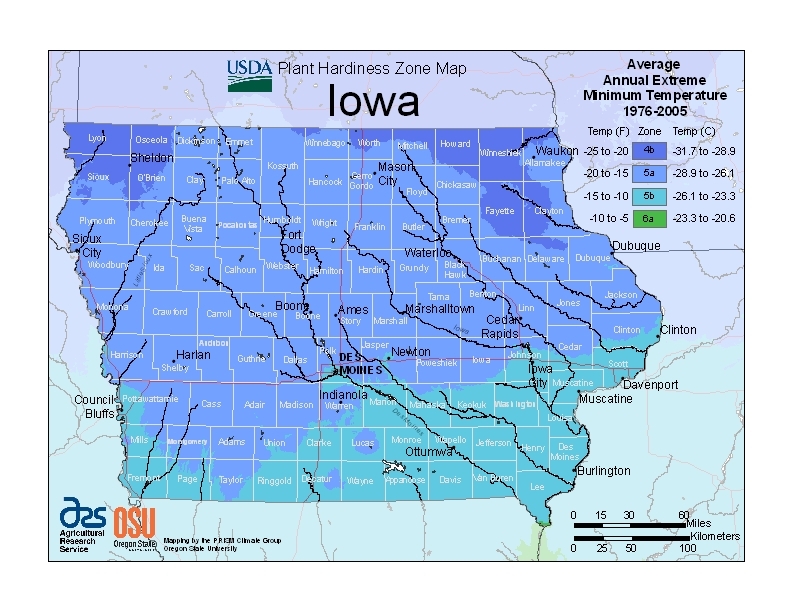 The Iowa capital has relatively short, very hot summers and long, cold winters. For this reason, most trees are somewhat difficult to grow, especially fruit trees and trees with delicate flowers. Hardier trees are much more effective for improving the aesthetic beauty in a lasting way in Des Moines.